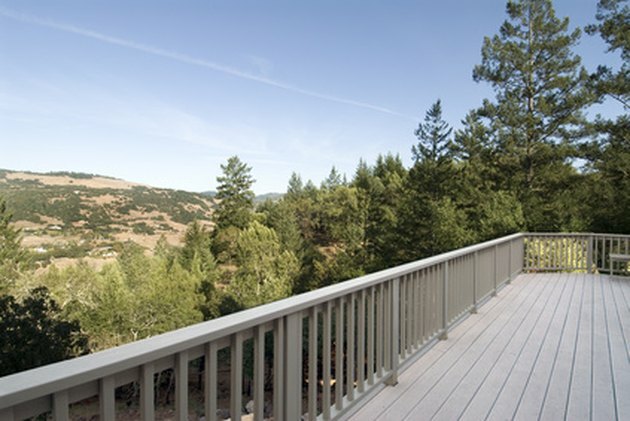 Composite material is a wonderful, low-maintenance option for decks and porches. The durability and color options are just two reasons why more and more homeowners are choosing composite over the traditional wood. Composite is more expensive up front but pays off quickly as no staining or other costly maintenance is required. Composite can, however, occasionally become damaged. Knowing how to properly manage the repairs will help retain its beauty and function. Composite deck repairs differ slightly from repairs to traditional wood decking. Remove any stains with a scrub brush and cleaning solution recommended by the manufacturer. Each brand of composite decking requires different cleaners. Scrub away stains and rinse thoroughly. Allow composite boards to dry before making further repairs. Tighten or replace any decking screws or nails that have worked loose over time with a power screwdriver and hammer. 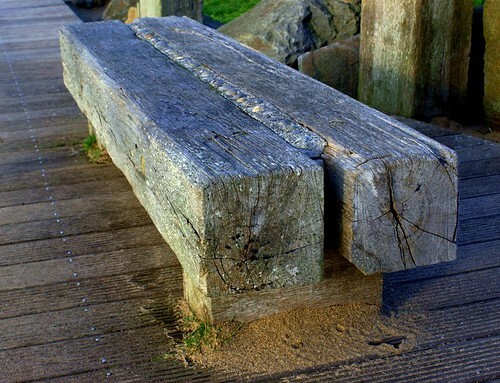 Sand any small scratches or gouges in the boards with a fine-grade sandpaper. The marks will diminish but will not be completely removed if the damage is too deep. In this case, remove the board and flip it over. Reposition and secure the board to the deck, removing any manufacturer's marks with cleaning solutions. Fill small holes, using a putty knife, with a mixture of fine composite board shavings and silicone caulk. The consistency of the mixture should be thick enough that it will not seep out of the bottom of the hole. Match the color of the caulk to the deck boards. Allow to dry completely before walking on the surface of the deck. Remove and replace any boards that have sustained major damage or have holes larger than 1/2-inch diameter. Follow composite manufacturer's installation recommendations for securing boards to the deck surface. Can a Laminate Floor Be Stained or Varnished?